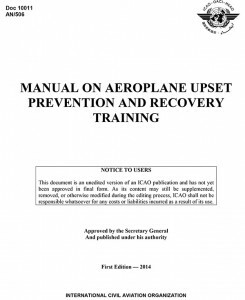 IS-BAO, the International Standard for Business Aircraft Operations, developed by the International Business Aviation Council (IBAC) and its member associations, is a recommended code of best practices designed to help flight departments worldwide achieve high levels of safety and professionalism. IS-BAO is an industry standard built for operators, by operators that provides standards based on the ICAO Standards and Recommended Practices (SARPS). Both the FAA and Transport Canada recognize IS-BAO as meeting the ICAO standard. The European Committee for Standardization (CEN) also recognizes IS-BAO as an industry standard for business aircraft operations. IS-BAO Registered UPRT provider APS, Aviation Performance Solutions, is proud to be both the first IS-BAO registered Upset Prevention and Recovery Training (UPRT) provider in the world and also the first IS-BAO registered FAA Part 141 Flight School in the United States. APS Headquarters in Arizona was third-party audited and officially achieved Stage 1 IS-BAO registration on October 1, 2013. In October 2015, APS Texas and APS Europe were third-party achieving Stage 1 IS-BAO registration. Compliance with IS-BAO constitutes a Safety Management System (SMS); a protocol that seeks more than just regulatory compliance, but a philosophy of identifying all relevant hazards and mitigating identified risks to the greatest extent possible. By subscribing to the same high operational standards as our corporate and airline customers, APS demonstrates its dedication to professionalism and safety. 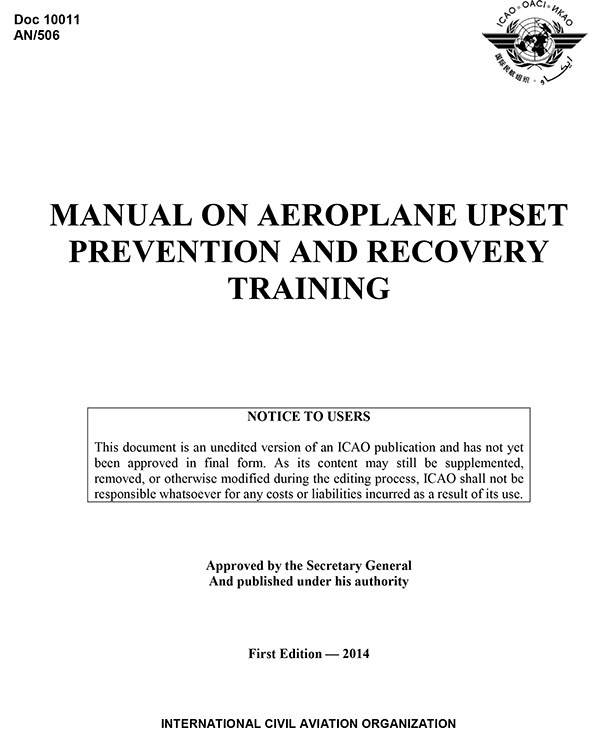 3.3.1.5 There are several other avenues available to reduce risks associated with the manoeuvring requirements inherent in on-aeroplane UPRT. For instance, Air Training Organizations (ATOs) should also develop and enforce strict operational control procedures involving appropriate training airspace areas, minimum dispatch and weather conditions, and adherence to minimum safe altitudes. However, the most important factor affecting safety in the conduct of UPRT is a competent instructor qualified for the delivery of on-aeroplane UPRT who operates within a well-structured safety management system (SMS) environment. 3.3.1.6 It is important for the Licensing Authority and ATOs to realize and understand the applicability of SMS for ATOs: the requirement to adopt SMS practices is intended to be restricted to only those training entities whose activities directly impact upon the safe operation of aircraft. 3.3.1.7 Combined with well-structured QA policies and procedures, an ATO’s SMS programme should effectively mitigate any increased risk levels associated with conducting on-aeroplane UPRT. 6.3.1 As part of its oversight responsibilities, the CAA should ensure that the training organization has a risk mitigation policy and procedures incorporated into its QA programme as well as an effective SMS programme whenever conducting on-aeroplane UPRT. 6.4.2 The approval process for UPRT should include a re-evaluation of the ATO’s documented policies, processes and procedures, to confirm that the ATO has a well-articulated and developed Quality Assurance (QA) and, when applicable, SMS processes to deliver a high quality programme. 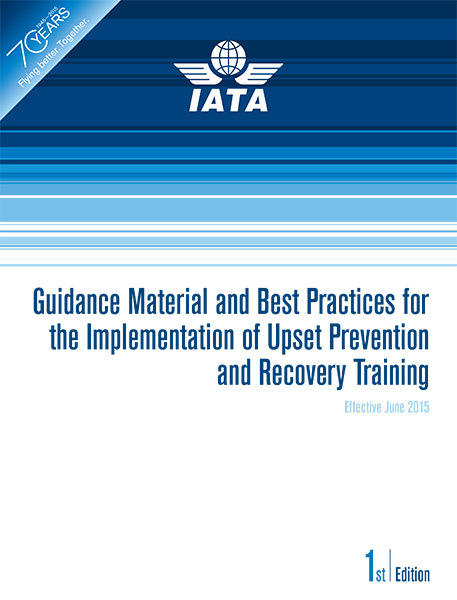 For its part, the International Air Transport Association (IATA) devotes an entire Chapter to the subject of the application of SMSs for UPRT delivery in Section 13 of its Guidance Material and Best Practices for the Implementation of Upset Prevention and Recovery Training, titled “The Safety Management System (SMS) and UPRT Implementation and Evaluation”. It is clear that to provide the highest margins of safety and professionalism, the SMS approach encompassed by IS-BAO certification represents the highest standard in place today. APS certification under the IS-BAO standard exemplifies our approach towards providing the most effective UPRT solutions to mitigate the threat of LOC-I worldwide.